Blog / Contact form spam and offers of cheap SEO! I do get annoyed by the common website contact form spam from Eastern European and Asian countries (mostly India). My regular clients do too. These contact emails offer the promise of cheap SEO services which can often be attractive for businesses just starting out. There is a hidden price to pay though if you take them up on this offer. If you’re lucky, they’ll just do a bad job. If you’re unlucky, and many are, they’ll make your site completely disappear from Google’s search results and you’ll need to recruit a proper SEO company to put things right. Unfortunately there isn’t much we can do to prevent this type of contact form spam while still allowing legitimate enquiries to come through. 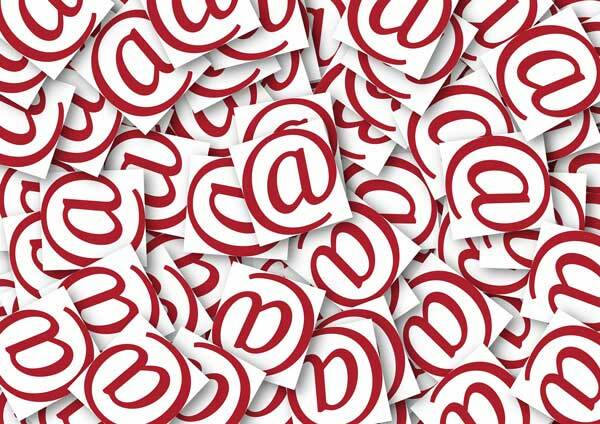 The spammers often use newly created free email accounts such as those from Gmail, Yahoo, Live etc. This is because their previous ones are caught by the email spam filters and it takes a while for their new accounts to get detected. We use various levels of filtering on websites that we create, but it’s a trade-off between getting those all-important enquiries and blocking everything that seems potentially spammy. Believe it or not, we get this type of spam through our website too, saying that our site is no good and that we urgently need an SEO company! It’s simply automated junk that fires off to every website that has a contact form, they don’t read or test your website at all. Spammers will use common SEO terms to make it look like they have something to offer but, when pushed, they really try to cover their lack of knowledge with more technical jargon to ‘blind’ the customer. Recruiting one of these companies to do your SEO work is a big mistake and we often pick up the pieces of poorly run campaigns which cost the client more money to put right. Most of these ‘companies’ just throw lots of links to your website from very dodgy sources and these can get it quickly de-ranked in the search engines for attempted manipulation of the results. Some of them even run off with your money, never to be seen again, unless under a new name with more false promises. In contrast, our link-building methods are natural and allow your website to grow over time with no damage to reputation or rank. And to answer common questions from our clients, yes, we monitor Google Webmaster Tools, we monitor website analytics and look for keyword trends and patterns and much more besides. We do every legitimate search engine optimization technique that the email spammers say they’ll do but actually don’t do very well. How to find out if an SEO company is real? Asking a few key questions should quickly expose their legitimacy. One look at their email address usually is enough to show that they don’t have a registered business, often using free Gmail or Live email addresses that close down when things get awkward between them and their clients. If they include a number it’s often just a throwaway one too. Has the company got a registered business address? Do they have a UK company number? Does the company have verifiable client testimonials? Does the company have any websites they can show you that rank for difficult or competitive search terms? Can you hear call-centre noise if you actually speak on the telephone with them (many work in call centres by day and spam websites by night)? Are your questions answered in plain English or are you given more technical jargon as a response? Did you contact them or did they contact you? Is their email address a free one, eg Gmail, Live, GMX etc.? Are there spelling and grammar mistakes in their email and would you want them creating content on your behalf? Do they have a website that doesn’t look like a generic, unfinished template (if they have one at all)? We are happy to chat about your company’s business requirements by email or telephone. Get in touch now to see how we can simplify your Search Engine Marketing.